Modern web technologies open up new horizons for the creatives. If you still mourn the death of Flash, then you are likely to miss unique and ample opportunities provided by WebGL, HTML5 and other advanced libraries and languages. The time has come to leave past in the past and embrace cutting-edge solutions that bring to life outstanding projects full of dynamics and interaction. One of the fields that has received an enormous boost is online browser games. We are not talking about Goliaths of the industry such as Battlefield or Call of Duty; we are talking about small games that enrich ordinary websites. It’s hard to argue that gamification is a huge trend. Like any other entertainment avenue, it has a potential to incorporate pleasure and fun into any project, even boring and businesslike ones. Take a look at No. 7 on our list; it takes politics to another next level; or No. 5, which allows for sending insults via email in an engaging way. Today, we gathered just 20 examples. But there are plenty more. If you have a favorite, please share it with us. Also, tell us which one impresses you the most? The website was created for a new American science fiction drama. It instantly draws you in with incredible realization. Explore the map, complete play missions, unlock classified intel, watch episodes and much more. The project is increasingly difficult since users have just one chance a day to accomplish tasks. Use your cell phone or tablet in portrait mode to enjoy the adventure in a flat semi-pixelated world. 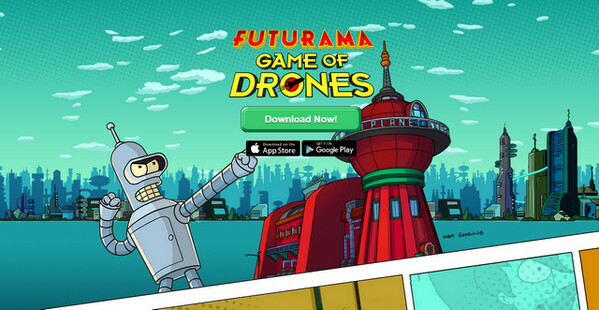 Although the promo page does not have an actual game, it is made with gamification in mind. It is bright, vivid and appealing. There are dynamic gif walkthroughs, video and, of course, a comics-style illustrated environment that produces a profound impression. The automobile industry is one that makes the most out of modern trends, and online games are no exception. This is a small amusement where you need to scroll as fast as possible in order to win. This trick gives a particular zest to the advertising campaign of Citroen. The Avenging Llama is a small service that transforms spitting into an amusing process. There are five small steps that you need to undertake in order to send a funny insult via email. Choose your llama face for revenge. Maratropa is an advanced and engaging concept where complicated techniques are involved. The platform visualizes a Twitter account, including all its connections, creating an endless dynamic abstract landscape of tweets. The project is oversimplified, yet absorbing and hilarious. It seizes user attention, even if you are not aware of the political jungle of USA. It is a graphic embodiment of a pun “to trump Donald.” You can capture the picture and share it with your friends. 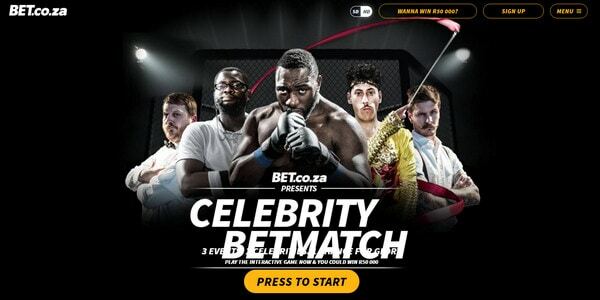 This microsite invites the online audience to enjoy a fully interactive video experience. Here you will stumble upon mini films that shed the light on African celebrities. FarCry Primal boasts a fantastic promo website that perfectly conveys the atmosphere of the award-winning video game. From tiny controllers to absorbing trailers, the Stone Age theme is in all the details. You are welcome to watch trailers, download a fan kit, explore interesting moments and much more. 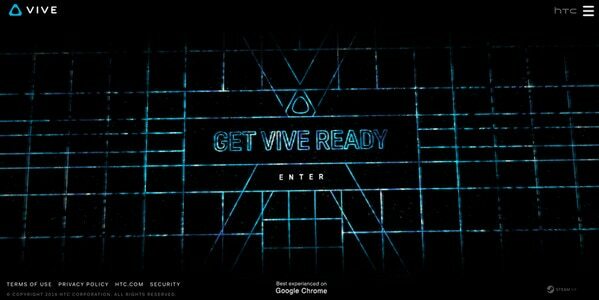 This small browser game is designed to test your HTC’s Vive VR Headset. The developers have created a whole menacing world with an evil boss that you need to defeat. Collapse is a professionally designed end of society simulator that is based on the magnificent storyline of division. Using real data, it generates an experience that is personalized for you and your town. 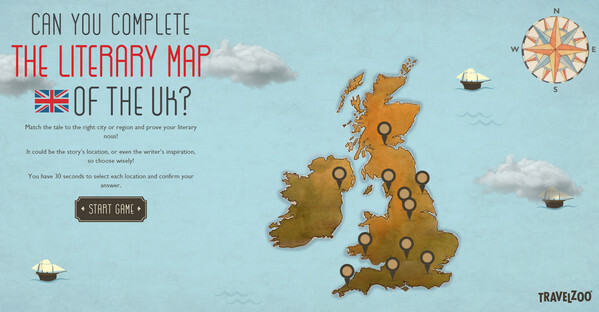 TravelZoo’s front page is marked by a small entertaining quiz that tests your knowledge in the literary map of UK, thereby drawing you into this magnificent country. You have 30 seconds to complete the tasks. Mira is an entertaining way to show and promote the Hydra framework. It is an application that produces an outstanding meditation experience. 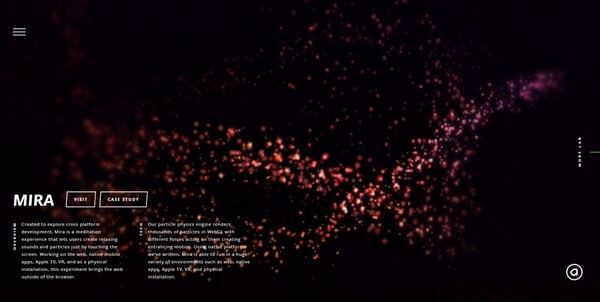 Users are able to create sounds with the help of particles that are chaotically scattered around the screen. Since SNCF stands behind this bright adventure, it is not surprising that the central theme is a railway and traveling on a train. The environment is simply incredible, though you need some time to get used to it. Cash Contagion is another project that is based on a storyline from Tom Clancy (the first is No. 11). The idea lies in an assumption that banknotes can transmit a human virus. It works with euro and pound and uses real data. The website promotes new series called “The Magicians.” It features a storytelling experience with interactive details and lots of interesting videos and images. You can start the lesson; examine the university and much more. This is not a game, yet it has some fun to it. The website houses an engaging video that compares and contrasts traditional Bronze strings and Nickel Bronze strings. The official website of the campaign drags you into a short, yet intriguing and captivating animation film featuring real tattoos. The scenes are simply amazing: They are rich in detail and produce a powerful atmosphere. The nameplate reflects the idea of the game completely. The developers create an immersive experience thanks to pioneering techniques. You will find a challenge that you need to take. Use your eyes to complete the mission. Occupied is a tiny game that lets you choose a side in an epic Norway drama. You can either take part in the confrontation or support Russian occupiers. Small or big, simple or complicated, online browser games always grab the attention of users. They are confined not only to special occasions, like Christmas or New Year’s but also are used to support promo campaigns of various companies or releases of new movies and games.